When I started this blog in 2012 it was sort of like a diary of me trying to replace my day job income with freelance work. 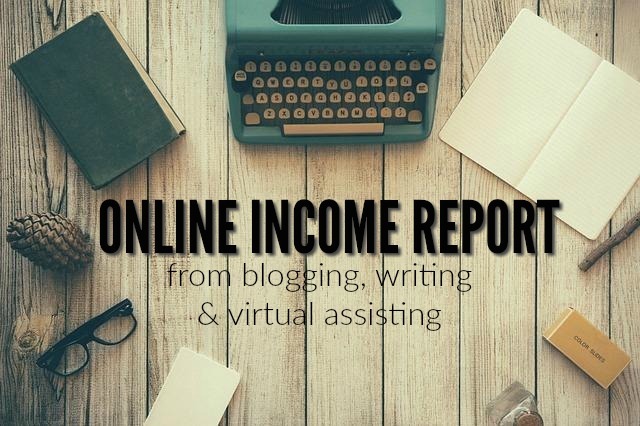 I did an income report every month which would detail what I made freelance writing, being a virtual assistant, and blogging. And I did more than double what I used to earn at my day job with my online work. Now that the baby is a toddler I finally felt okay getting some help. She’s started going to a babysitter. (She goes 3 hours per day 4-5 days per week. And is only a mile away!) And now, I can finally get back to feeling like a semi-productive adult. 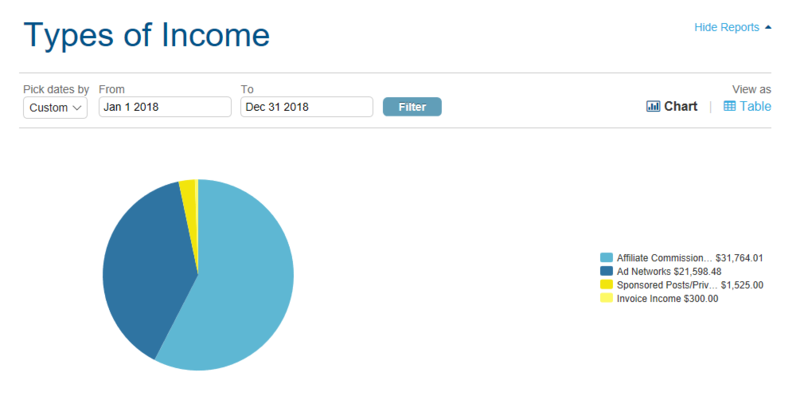 Since I have more time to work and income reports have always been favorites I thought I’d bring them back. I have earned less this year so than I have the prior three years and it’s no surprise, because I haven’t worked that much! That makes for a grand total of $55,187. All 2018 expenses totaled to $10,243 making my 2018 net profit $44,943. As an affiliate you can link to products you recommend and receive a commission if the person who has clicked your link decides to make a purchase. I mainly use Google Adsense as an ad network. I used to use a different one but all of a sudden the pay went WAY down. I replaced with Google Adsense which I seem to do pretty well with. You can read all about earning with ad networks here. This number could be higher but I don’t accept many sponsored posts. I only like to work with sponsors who I think fit well with this blog. Blogging, for sure, is not a quick or easy way to make money but if you put in the time and hard work upfront it allows a TON of flexibility. Yes! Congrats! Many people don’t realize all of the unpaid work that goes into a blog BEFORE you start making money. But I’m glad you were able to go really part-time and still make a decent income!